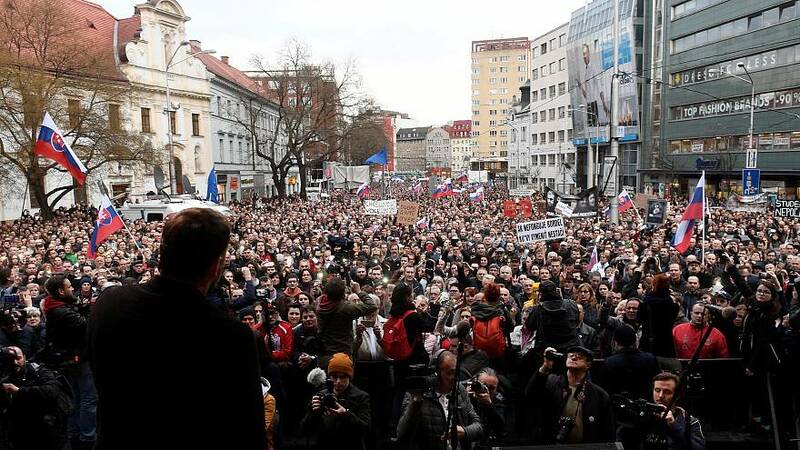 Thousands gathered in the Slovakian capital Bratislava on Friday for anti-government protests following the murders of an investigative reporter and his fiancee. The deaths of Jan Kuciak and Martina Kusnirova on the eve of their wedding in February this year have sparked a political crisis in the eastern European country, with protesters calling for early elections. Many demonstrators stopped to light a candle at a memorial set up for Kusnirova and Kuciak, whose work promarily involved investigating the tax affairs of several businessmen with connections to top-level Slovak politicians.